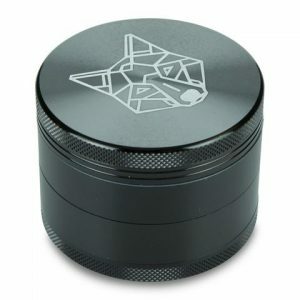 We love things that are a little different here at SmokeRigs Vapes and this new Silicone Grinder from the Grizzly Originals range is both different and awesome in equal measure! The actual grinder plates and teeth are made of metal and are razor sharp. The actual grinder plates and teeth are made of metal and are razor sharp. They’ve also designed another clever little feature into it so that the blades are asymmetrical, so when you grind in one direction you slice and chop even the toughest and stickiest material, but when you spin in the other direction it loosens and fluffs up your material to get you the perfect consistency every single time. Once it has reached that perfect consistency the material can fall through the holes in the base and land in the collection section below. The two halves of the grinder section are held together with strong rare earth magnets which do a great job of holding everything together. 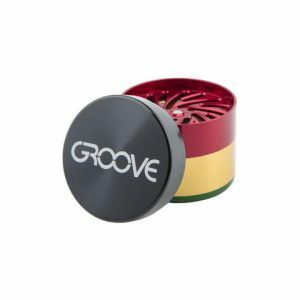 The main body of the grinder is made of food grade silicone which is both thick and tough, meaning it can stand up to almost anything you can throw at it, or even anything you can throw it at. The two lower sections separate to reveal a kief collection section in the base which is fed through the fine mesh sifter screen fitted in the base of the collector section. 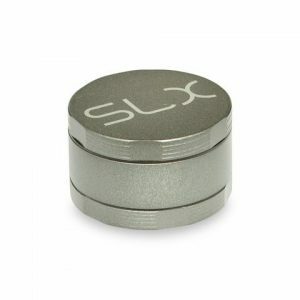 If you want a grinder that is a little different and can stand up to huge amounts of abuse while doing an amazing job then grab yourself one of these bad boys today and see for yourself how well they work.